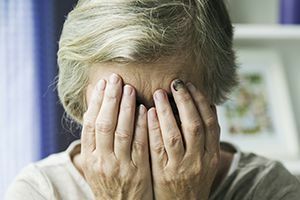 According to a data report analyzed by Arizona Sonora News, incidents of nursing home abuse at Medicare-approved nursing homes in Arizona are on the rise, with half of the incidents causing immediate danger to patient care. The data report included roughly three years of state inspection details from 147 nursing facilities that rely on state and federal reimbursement to pay for care. The reports state inspection details describe alarming incidents of elderly residents being severely burned, escaping the nursing facilities, given the wrong medications, and left to lie in their own waste. Experts say understaffing and under-trained caregivers account for the majority of the reported incidents. Many nursing home advocates suggest the 120-hour mandatory training for certified nursing assistants (CNA) is not enough. For example, to become a licensed cosmetologist in Arizona, one must take 1,600 hours of training, a whopping 1,480 more training hours than is required for a CNA certification. Additionally, many CNAs are overscheduled and do not regularly receive help from registered nurses or licensed practical nurses, most of whom are oftentimes overscheduled themselves. In order to deter nursing home abuse, some experts believe Arizona should have stricter staffing standards that can easily be enforced by state inspectors. Also, enforcing steeper fines may prove to be a deterrent to nursing home abuse as well. Currently, the maximum federal fine per day for non-immediate jeopardy is $3,000, while $10,000 is the maximum daily fine for immediate jeopardy. The maximum state fine is $500 per instance of nursing home abuse. According to recent data from the Centers for Medicare & Medicaid Services, there are approximately 16,000 federally certified nursing home beds in the state of Arizona. Of those, slightly more than 11,000 are currently occupied. Arizona ranks 37th in the nation for serious nursing home violations and ranks eighth in the nation for overall care, according to one non-profit organizations analysis of the data. If you believe your elderly loved one is a victim of nursing home abuse, it is important that you contact an experienced Arizona nursing home abuse attorney right away. At Phillips Law Group, our nursing home abuse attorneys are dedicated to protecting your elderly loved one and ensuring they receive justice for their pain and suffering. Contact a knowledgeable personal injury lawyer Phoenix at Phillips Law Group to schedule a FREE consultation by calling or texting 1-800-706-3000.